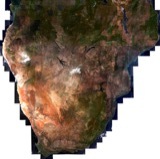 The GlobCover initiative of ESA developed and demonstrated a service for the generation of global land cover maps, based on Envisat MERIS Fine Resolution (300 m) mode data. During its initial implementation (2005-2008) the project was ran by a large consortium led by Medias-France, with the partnership of EEA, FAO, GOFC-GOLD, IGBP, JRC and UNEP. 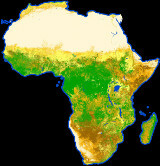 This first phase was completed successfully in October 2008 with the public announcement of the first GlobCover global land cover map for the year 2005/2006. 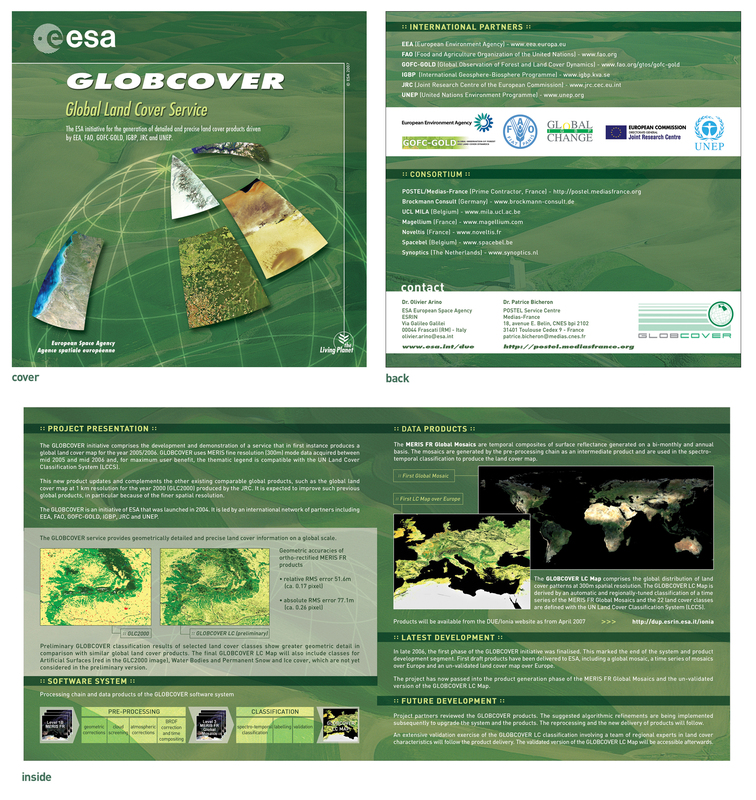 In 2010, ESA and Universite' Catholique de Louvain demonstrated the possibility to use the GlobCover system operationally by delivering GlobCover 2009, the 2009 global land cover map, within a year of the last satellite acquisition. Currently, GlobCover 2009 is the most detailed and recent global land cover map available. For maximum user benefit the thematic legend of GlobCover is compatible with the UN Land Cover Classification System (LCCS). The system is based on an automatic pre-processing and classification chain. Both of the two global land cover maps (2005/2006 and 2009) provided in the framework of GlobCover have been validated by an international group of land cover experts and the validation reports were made available to the user community. Except for the global land cover maps, a set of MERIS by-products were also made freely available through the main data distribution source, ESA Ionia Server. To date (May 2011), over 50,000 downloads of the GlobCover 2009 have been done.